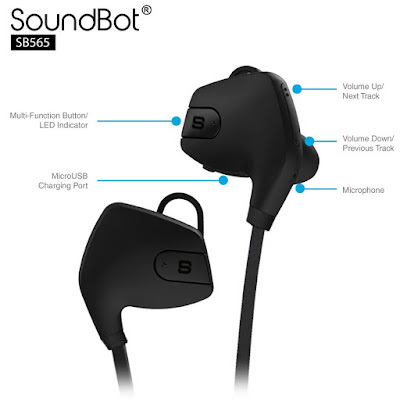 SoundBot, California-based lifestyle audio and accessories brand, introduces its SB565 Stereo Bluetooth 4.0 Sports-Active Wireless Water-Resistant Earbud/Earphones in India. It comes with ergonomic tilted ear tips, with a water-resistant gel cushion for stable and maximum mobility and HD acoustic sound. We have recevide this product for review. Excellent call quality with little flaw. Mic is on one of ear-peace so have to talk loud while on call. Let's us give you some keypoints for this Soundbot SB565, made for streaming music and hands-free talking, and it equips the user with a Universal Bluetooth technology for forward and backward compatibility with all devices. It’s Bluetooth is compatible with Mac and Windows, are a rare facility to find, with no additional drivers. 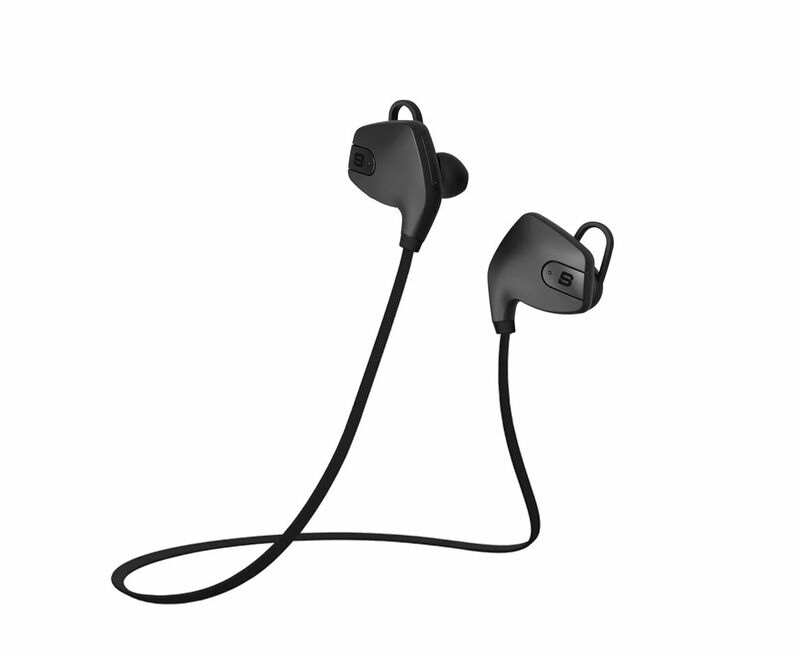 The latest in Earphone technology; which allows the user to remotely control all activities such as music, hands-free calls and a built-in Mic, volume adjustments, and playback music. The design is one-of-a-kind, it is sleek, elegant and sporty, and blends in with all occasions and suitable for the widest range of atmospheric conditions. The things we really liked about this one is made of tangle free wire and have excellent build quality. The only point bother during the testing is placement of mic. It is in such a way it will be in your ears so have speak little louder then usually, especially when you are in crowded place. SoundBot has made this earphones very well to fit in the ears. You will easily get use to this earphones, since they are so light weight and fit perfectly on the ears of the users. Even material used to produce this earphones is durable and light weight so earphones getting off while you are running and or during exercise in gym, there no chance. Well beside noise cancellation is very well in the earphones. While listening ti music or on call, you can hear the voice loud and clear, even though you are in crowded place. Well on music front device is at par. But needs much more improvement. Usual like other device in the market it does not have access to smartphone sound equalizer. Hence music lovers who love perfection for music, we will not recommend this earphones. For normal users who want excellent call quality with good sound and battery this are perfect to get one. This is a power packed device are lightweight, and also comes good battery life 4 hours of talk time, and company claims to have has a great working distance of 33 feet or 10 meters. It is available in an exciting and sporty color ‘Black on Black’. Priced at Rs.1990 the Soundbot Hi-Tech SB565 Bluetooth Water-Resistant Universal Earphones are available on Amazon.in. So this is all about newly launched SoundBot SB565 Bluetooth Water-Resistant Earphones. Stay tuned for more. Thank you for reading.